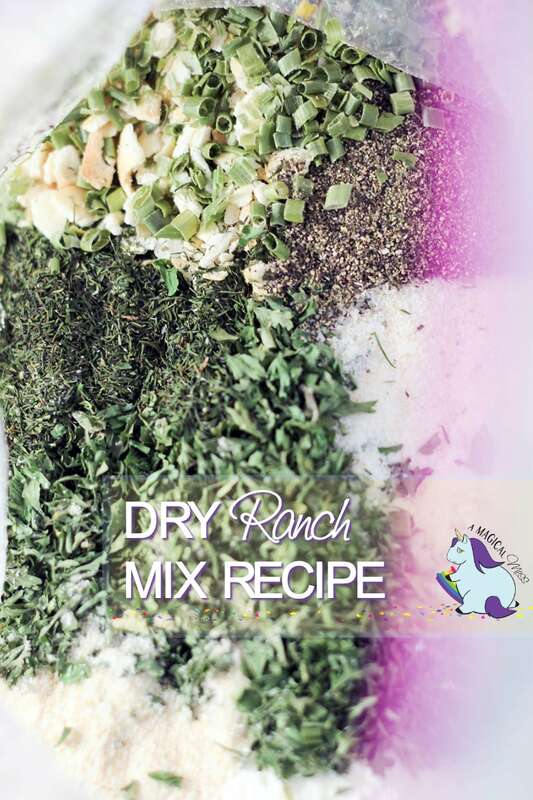 Homemade Dry Ranch Dressing Recipe - Stock your pantry with the Mix! 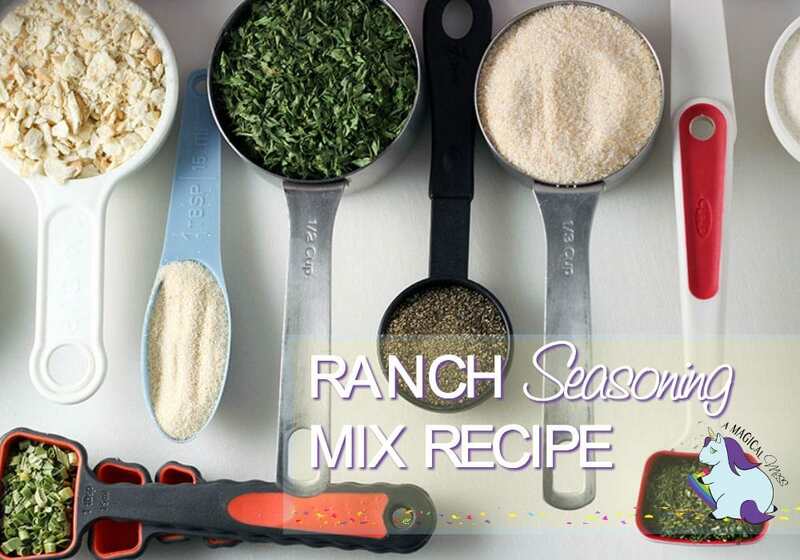 I wanted a dry ranch dressing recipe mix to add to my stash this season. I use ranch dressing mix in a lot of different recipes other than salad dressing. In an effort to save valuable real estate in the kitchen cabinets, I store my dry mixes in Hefty® Slider Bags. Post sponsored by Linqia; all opinions are my own. In my last post about dry mixes, I made a hot chocolate mix. 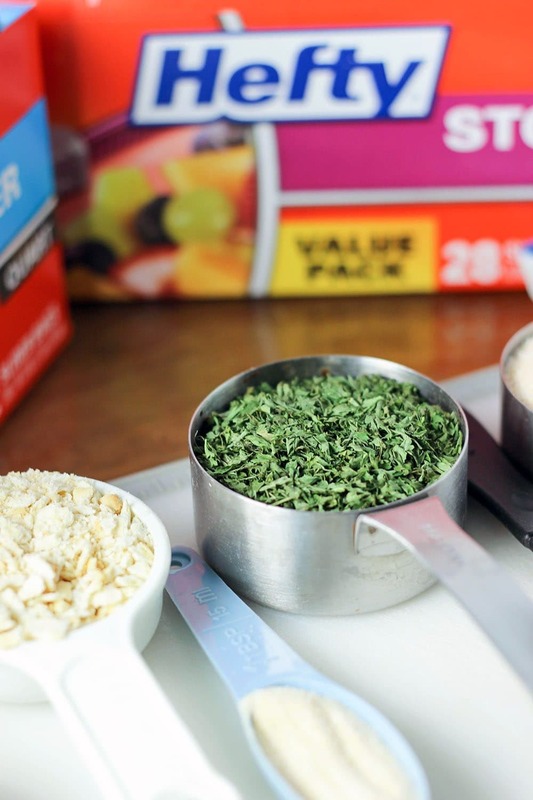 Not only does making dry mixes yourself save money, but it also leaves you in complete control over the ingredients. Ranch dressing powder is another dry mix that I use quite a bit, especial in slow cooker recipes. You can add pretty much any meat, a couple of cans of cream soup, and ranch mix to a slow cooker and get a delicious dinner. Pork chops in the slow cooker are one of my favorite go-to recipes once the weather cools. Since the mason jar boom, my little bit of cabinet space dwindled quickly. I started keeping everything in mason jars thanks to Pinterest, and I just don’t have the space. Keeping dry mixes in Hefty Slider Bags solves this problem. They are much more flexible to fold into a tight spot if necessary. With the MaxLock® track design providing an extra strong seal, I have no worries about leaks or messes. The zipping sound of the bag lets you know the seal is secure, and the Clicks Closed™ sound lets you know the bag is closed. It’s like a triple-security system in a storage bag! Hefty® Slider Bags cost less than Ziploc® Slider Bags, when comparing the same type of bag (freezer/storage) and size (quart/gallon) of the closest price point. I shopped for Hefty® Slider Bags at Walmart. They are easy to find and have a nice selection of sizes. I made sure to stock up for holiday cooking and baking, as well. Food storage bags are good for so much more than just food. Visit the Handy Hints section to get creative ideas on how Hefty bags can help you around the house. Okay, back to the recipe. I modified the dry ranch dressing recipe that I found here. I made a much smaller batch, too. I want to try it before making in bulk. So far, I only use it as seasoning. I will update this post once I make it into a dressing and let you know how it tastes. Crush the crackers in a tightly sealed Hefty Slider Bag. Add the rest of the ingredients to the bag and shake well. To make ranch dressing, mix 1 1/2 tablespoons of the mixture with 1 cup mayo and 1 cup milk or buttermilk. 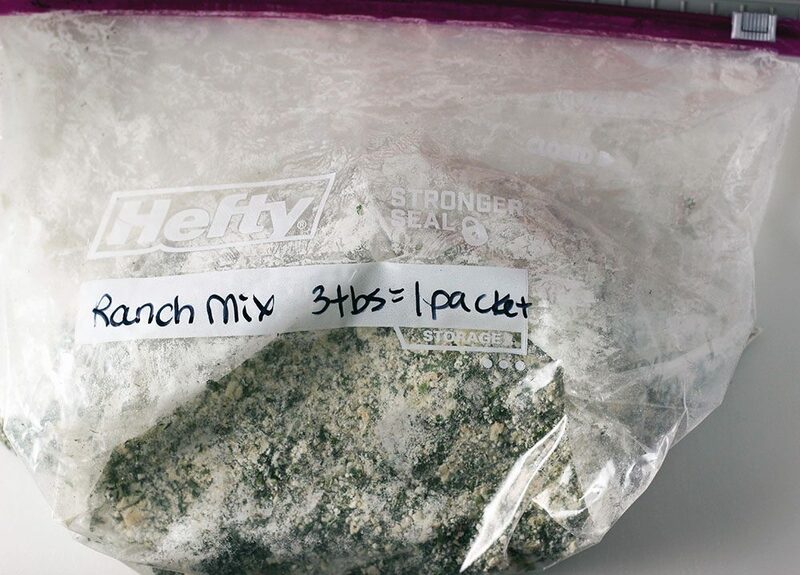 3 tablespoons of dry ranch powder = one ranch packet that you would purchase. 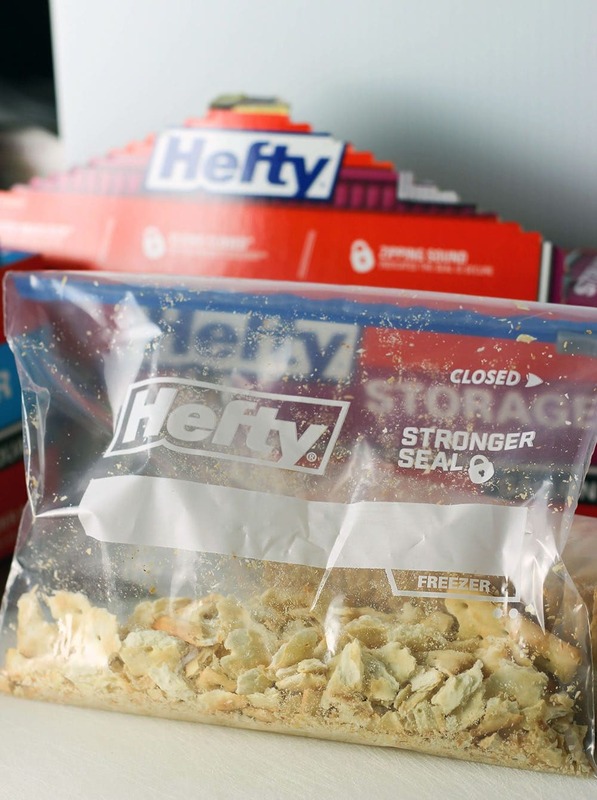 Save on Hefty® Slider Bags at Walmart by clicking here. Which one of the Handy Hints is your favorite? Have you ever made a dry ranch dressing recipe before? I would love to try this Ranch Dressing recipe. My husband and I would enjoy it! I like the flavors in this mix. My question is: why the crackers? Now, this is a good idea! not only is it more economical, you know exactly what’s in your seasoning! I have never heard of putting crackers in dressing before but it’s worth giving it a try. I love ranch dressing and this one sounds really good. This is a great idea. We use lots of ranch dressing in our household.Thanks! I love the idea of the storage bags to save room! I have pinned the recipe! I can’t wait to try it! So many times I’ve passed over recipes that call for ranch dressing mix because it’s not something I would buy. But I do have a well-stocked spice cabinet, so your DIY mix has my name all over it! I’m kind of surprised at the addition of the crushed crackers, but I’m willing to give it a try. Thanks so much for sharing your recipe. I was surprised about the crackers, too, but they seem to add texture and creaminess. I have only used the mix in crock pot recipes, so far. I don’t even notice the difference from when I used to use the store bought packages.